Toronto-based Ecobee is bringing Google Assistant to its smart thermostats in the U.S. and Canada, allowing the Ecobee3 and Ecobee3 lite to be controlled with Google Home voice commands, as well as through compatible Android devices. Ecobee says that Assistant integration makes performing everyday tasks with the smart home thermostat easier. Users are now able to say “Ok Google, make my home warmer,” along with other commands. It’s unclear if Google Assistant can also be used to control other smart home devices through the thermostat in the same way Alexa is capable of doing. The Ecobee4 launched in the U.S. back in May 2017 and brought Alexa integration to the smart home thermostat, allowing it to control various smart home products. 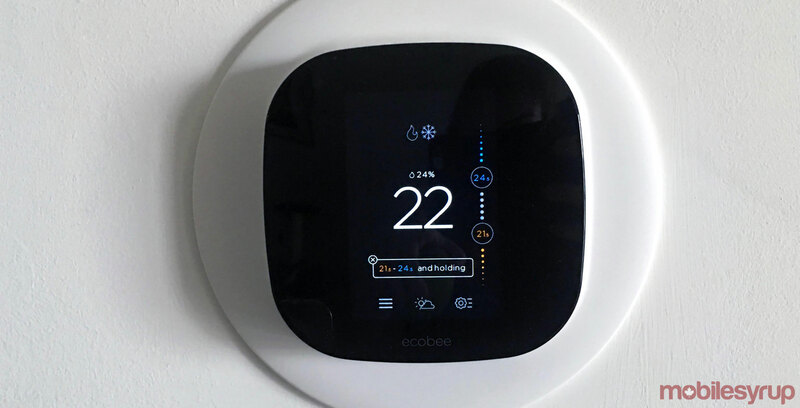 It’s unclear when the Ecobee4 will launch in the Canadian market. In the U.S., the Ecobee4 is also getting Google Assistant integration. Ecobee’s platform of integrations now includes Apple’s HomeKit, Amazon Alexa, Samsung SmartThings, Wink and IFFT. The Ecobee3 lite is priced at $219 and the ecobee3 costs $299.